Ada pertanyaan untuk Oceanwide Elite Hotel? 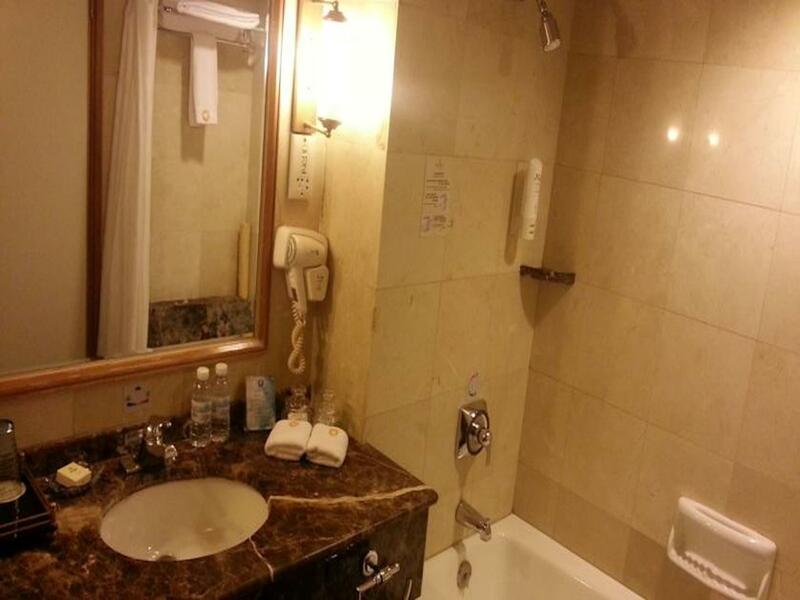 Terletak strategis di Qingdao, Oceanwide Elite Hotel adalah tempat yang luar biasa untuk menelusuri kota yang aktif ini. Dengan lokasinya yang hanya 6 km dari pusat kota dan 35 km dari bandara, hotel bintang 4 ini menarik perhatian banyak wisatawan setiap tahun. Yang tidak ketinggalan adalah akses mudah dari hotel ini ke sejumlah obyek wisata dan landmark kota ini seperti Qingdao Tianhou Palace, Dermaga Zhanqiao, Gereja Protestan. Di Oceanwide Elite Hotel, pelayanan istimewa dan fasilitas yang unggul akan membuat pengalaman menginap Anda tidak terlupakan. Hotel ini menyediakan akses ke sejumlah pelayanan, termasuk layanan kamar 24 jam, WiFi gratis di semua kamar, resepsionis 24 jam, fasilitas untuk tamu dengan kebutuhan khusus, check-in/check-out cepat. Oceanwide Elite Hotel memiliki 87 kamar tidur yang semuanya dirancang dengan citarasa tinggi. Banyak diantaranya memberikan kenyamanan seperti televisi layar datar, akses internet - WiFi, akses internet WiFi (gratis), kamar bebas asap rokok, AC. Sepanjang hari Anda dapat menikmati suasana menenangkan dari pusat kebugaran. Fasilitas super dan lokasi yang istimewa menjadikan Oceanwide Elite Hotel tempat yang sempurna untuk menikmati penginapan Anda selama di Qingdao. Location is very good. close to the bridge. beautiful seaview. good restaurant is nearby (within 15 min by walk). the room is clean & the service of the staff is above average. the breakfast is ok & not boring. many scenery spots are within walking distance. Location wise, it's along the seaside stretch which is a sightseeing destination for Qingdao. Neighborhood had some German bldg like churches n shops which was pleasant to walk ard. However, if you need to find malls and decent food, u need to take a bus ride for at least 20mins from opp the hotel towards the CBD area, 15mins to get to badaguan or 1hr to Laoshan. Bus is a v cheap way to get ard qingdao.. incl getting from the train station to hotel. We took a taxi from the train station to hotel which refuse to run by meter (all taxis are in cahoots coz we asked a few of them and got the same reply) and paid CNY 50 for a journey which last only 2 bus stops away from hotel. We returned to the train station by bus which was a breeze without heavy luggage. There are better hotels downtown. Great location on the waterfront of the old German part of the city. A short walk from here to the colonial architectural attractions nearby. The room was large and good soundproof windows - road in front was always busy. Buffet breakfast was filling though of average quality. Some garish decor but overall a pleasant stay. Room was nice. Hotel foods were delicious. Most of staffs were friendly and helpful. Everything was just good. Pleasant time for having a vaction along the sea. Location, friendly staff, good food. 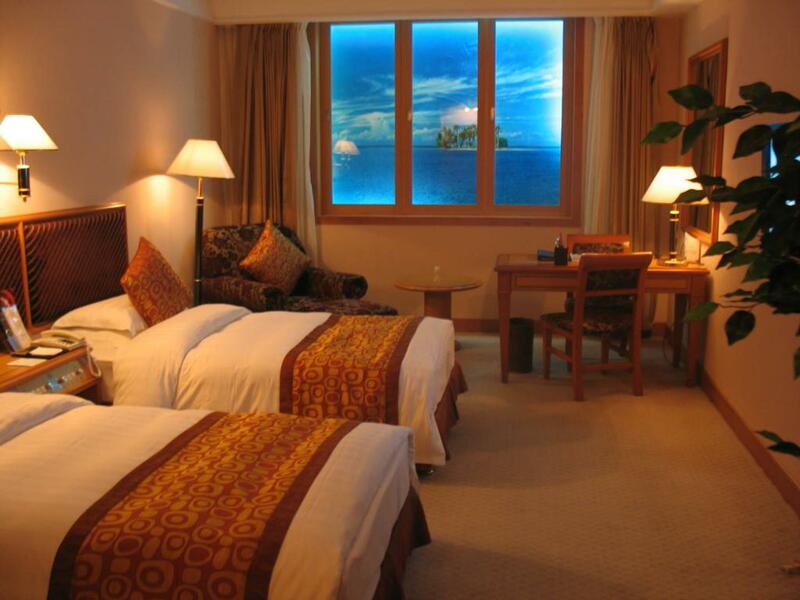 Clean rooms, attentive staff, Close to the ocean. No complaints. Very nice location to see Jankyo and close to Jungsanro. It has very good view. It is a very corfortable hotel and has a nice view to sea side. It has bus stop in front to hotel which you cna go many place with RMB1.00 It has Jungsanro near by too. Room was a bit dirty. Good location. The location is very convenient but the hotel room's light is very dim and the bed has mite. The environment, staff and room size. Had a nice stay. Just right across the beach and "zhan qiao tower" jetty. Rooms were big and comfortable. 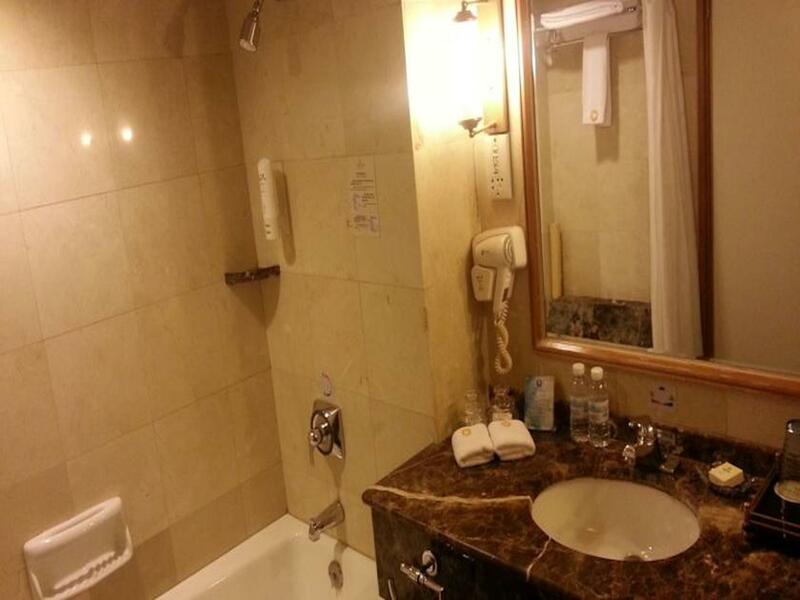 Large bed, large room, clean, distance to old Qingdao. nice room, clean and perfect location in front of the sea. If you have a bit of money, take the room with sea view. Booked a room with an ocean view (worth it if you have the few extra RMB to spend). Asked for a non-smoking room, although they said it was non-smoking later I found out that the hotel doesn't have any non smoking rooms. However the staff came and "made the room non- smoking" by removing the ash trays and matches, also brought an air purifier. For a seasoned traveller in China, using the purifier and opening the windows was enough for me, but may not be enough for some. Other than that the rom was comfortable, again I'm a seasoned Chinese traveller and used to the harder beds, not as clean as it could be but acceptable and the amenities were good. For a hotel in this area of town and for the price I found it good value. 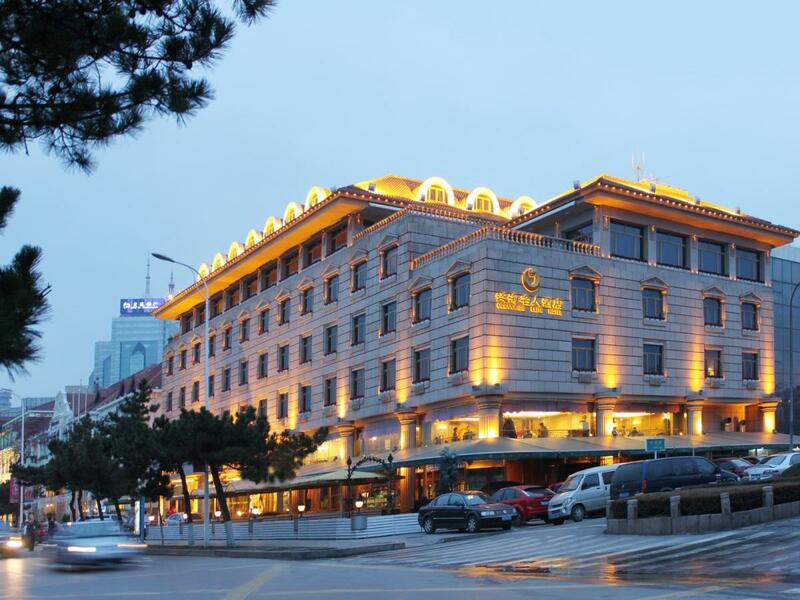 If you need international standards and comfort, pick one of the newer international hotels near the business district, but you will miss out on being in "Old Qingdao"
1. Ocean view; 2. Nice staff who always attend to your request; 3. One of the only few nice hotels in the old town area. Facilities in the rooms. The friendly, helpful staff. Wide variety of good quality dishes at breakfast and dinner. 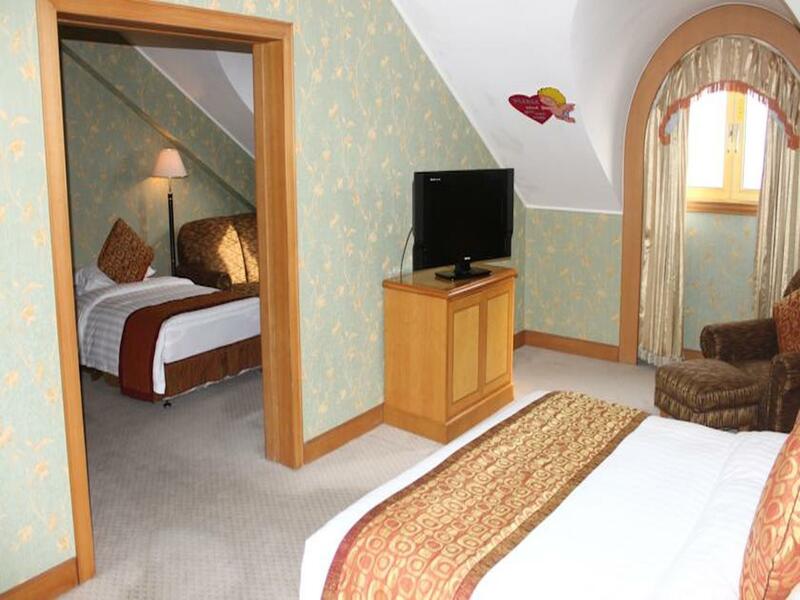 Beautifully appointed room with friendly, helpful staff. Would recommend this hotel for location.